It is equally clear that both the US and Israel will continue to conduct airstrikes, assassinations, support for Takfiri terrorist groups, etc., in Syria for the foreseeable future. Trump’s famous withdrawal from Syria will end up like all his promises: tossed down the memory hole. As for the Israelis, it is absolutely vital (for psychological and ideological reasons) for them to continue to subvert not only Syria but the entire Middle-East. Furthermore, we should *never* forget the Israeli end-goal: to use the USA to destroy any country daring to resist Israeli aggression. On top of that list, there is, of course, Iran. When I look at the fact that, at least so far, the US has not dared an overt military aggression against Venezuela, I cannot imagine anybody at the Pentagon or CENTCOM having the stomach for a war against Iran. But, again, I am assuming intelligence and sanity, which applies neither to Mr. MAGA nor to the Israelis. The complicit mainstream media tries hard to sell the people the idea that the US miltary is actually engaged in worthwhile missions. 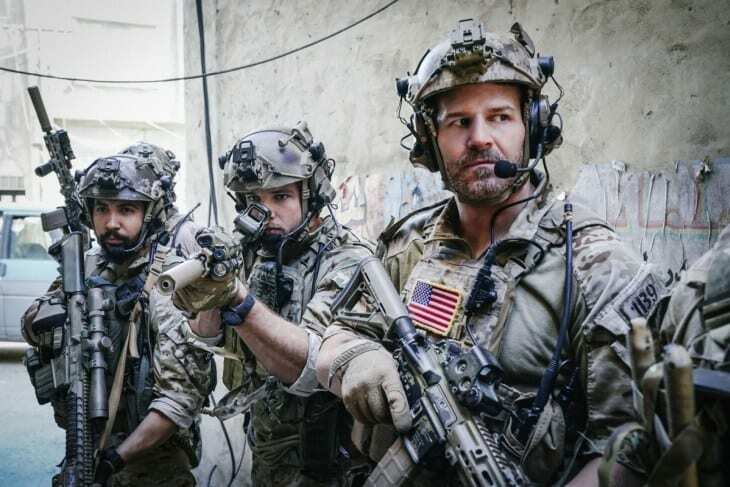 Here’s what the moral imbeciles at CBS came up with, the glorification of SEAL teams. Any guess as to where these “indispensable” folks will restore democracy next? I can think of at least one such factor: the inevitable blow-back against any “Yankee” military intervention in Latin American public opinion and the subsequent and potentially severe consequences for US puppets (à la Bolsonaro for example) and various comprador regimes (in Colombia for example) on the continent. Other than that, my biggest hope is that the debacle in Iraq, Afghanistan and elsewhere will be sufficient to persuade US officials that one more military disaster would not yield any benefits to their interests. PS: quick Ukrainian update: neither Poroshenko nor Zelenskii have anything resembling a real program (albeit Zelenskii just released a 10-point “plan” which is simply silly, no point in discussing it now). Since both of them will be US puppets, this is not a big problem: the course of the Ukraine will not change as a result of this election anyway. Poroshenko’s campaign is weak, he is trying to cater to the Russian speaking population (he even goes as far as sometimes speaking in Russian, which is technically illegal for him! ), but that is way too late by now: everybody hates him and the regime he represents. Zelenskii, in contrast, has a very dynamic and effective campaign – mostly videos – in which he says stuff which Poroshenko could never say. Most observers, including myself, think that since the 2nd round of voting is a competition of anti-ratings (negative perception) Zelenskii will win. Time is running out for Poroshenko, he better come up with something dramatic, or he needs to run. As for Yulia Vladimirovna, she clearly is in discussions with the Zelenskii people to see if they can form a political coalition in the Rada. I believe that these negotiations will be kept secret until the 2nd tour, at which point a “coalition of Zelenskii supporting factions” will be created in the Rada. The Saker is the founding editor of the Saker network of sites, and a geopolitical analysist with a specialty in military questions.